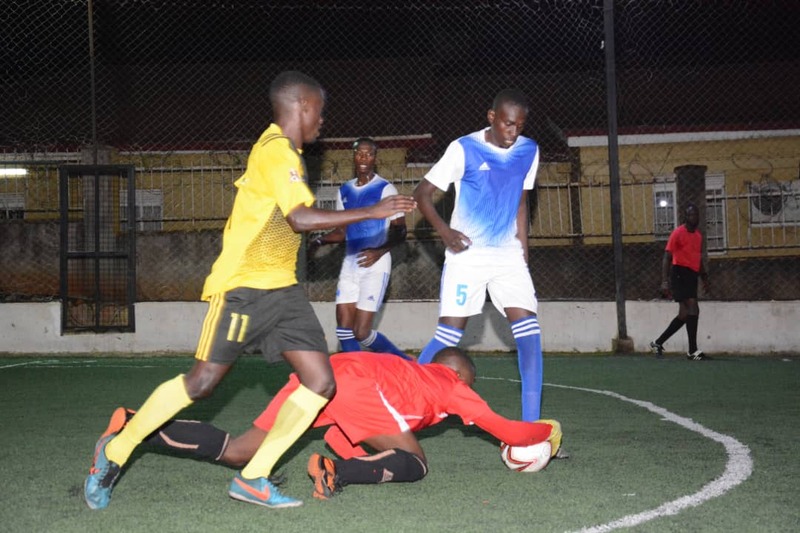 MENGO – Yeak Kabowa took over leadership of the 2018/19 Futsal Super League on Thursday night, defeating Equator 7-4 in one of the 6 games played at the Mengo Futsal Arena. Yeak who came into Game week 12, 3rd in the standings saw results go their way as none of the top two won their respective fixtures. Shafic Avemah put up arguably the performance of the day, scoring four goals on the night while Enock Sebaggala banged a brace and Hussein Abdala netted the other. For Equator, the quadruple of Edgar Bwogi, Daniel Sempa, Abraham Tusubira and Captain Omar Hitmana got the goals for them. Yeak now move atop the League with 23 points from 10 games while Equator are 9th on 11 points. In the game between Park and Dream, the two played out a thrilling 2-2 draw that had fans on top of their feet all the way. Park took the lead through Captain Iddi Babu but Jamal Muyingo equalized moments later to ensure both side go into the break all square. 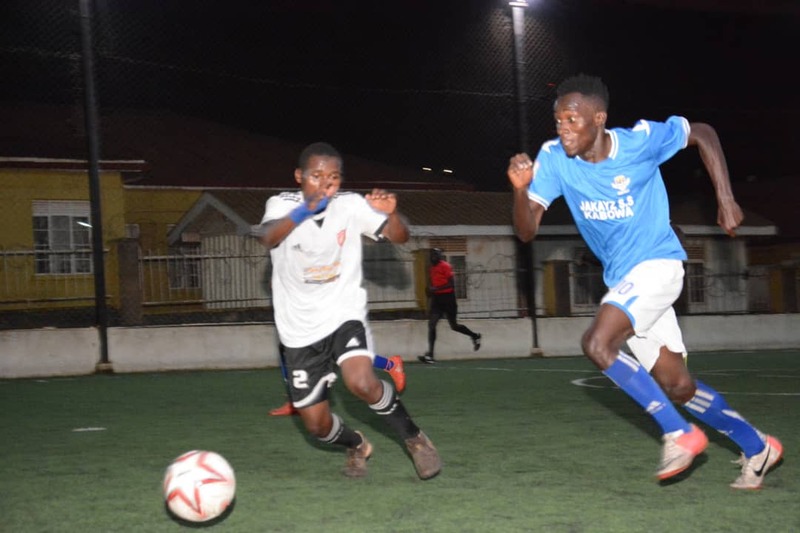 In the second period, John Segawa handed Dream their first lead on the night, tapping in from close range, a John Kitanda cut back but the defending champions couldn’t hold on as Babu squeezed in a shot at near post with only a minute to play and ensured the two sides share spoils. This was Dream’s first draw of the season and it sees them move into 7th on the standings with 16 points while Park slip into 4th with 21 points from their first 10 games. The first fixture of the day saw Bajim run out 2-0 victory over Yap Stars. Ronald Ssekiganda and Franco Sunday scored the goals for Bajim in a closely contested affair. Victory for Bajim moves them into 8th with 14 points while Yap Stars are now second from bottom, having gathered only 6 points so far. In the game between Parakeets and Nomad, the former leaders were humiliated 6-2 by their un fancied opponents. Nomad raced into a 3-0 lead at halftime with Omar Ahmed banging a brace and Said Gurey scoring the other. It was soon 4-0 at the start of the second as Omar completed his hat trick, much to the shock of the revelers. Parakeets tried to mount a fight back, scoring twice through Borris Onegi and Vicent Abigaba but Nomad also struck again via a Ali Ibrahim brace to take the honours on the day. The other day’s fixture saw saw Elephants defeat Kabowa United 4-2. Elephants struck through Philip Tumwine (brace), Eric Wagana and Hassan Wasswa. Kabowa’s goals were both scored by Kyagulanyi Edward. The Futsal Super League will resume on on Thursday, 24th of January with 7 fixtures lined up on the day. Park’s Joseph Bukenya still tops the scoring charts with 19 goals, one ahead of Yeak’s Shafic Avemah.